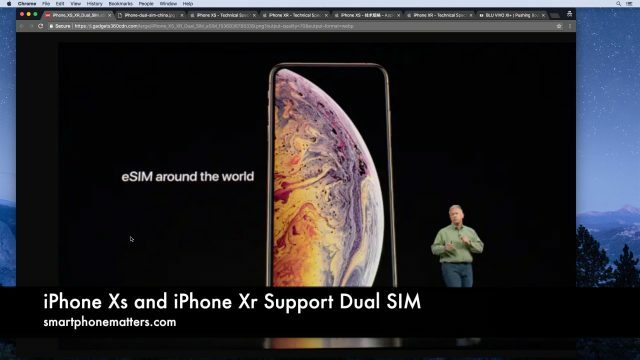 Apple’s new iPhone Xs, iPhone Xs Max, and iPhone Xr have added a really cool feature called Dual SIM support. With Dual SIM support you can set up your new iPhone with two different phone numbers. In the United States, Dual SIM isn’t a popular feature but in Asia and many other parts of the world it is. Apple’s new iPhone Xs, iPhone Xs Max, and iPhone Xr have dual SIM support. To implement Dual SIM, these phone’s have a single nano SIM slot just like older iPhones but they also support an electronic SIM format called eSIM. You can read more about Apple’s Dual SIM support in this support article. Not all carriers support eSIM, Apple lists AT&T, Verzion, and T-Mobile as supporting eSIM in the US. To program your eSIM you need an app from the carrier or a QR code you can scan with the phone. There are no details on how you would be able to use any of the prepaid wireless services I cover hear with eSIM. The support article details how to set up use Dual SIM’s on the iPhone. Apple notes that dual SIM will only support one phone line on a CDMA based carrier. In the US both Verizon and Sprint use CDMA / LTE technology and you would only be able to use one of these carriers on your phone. 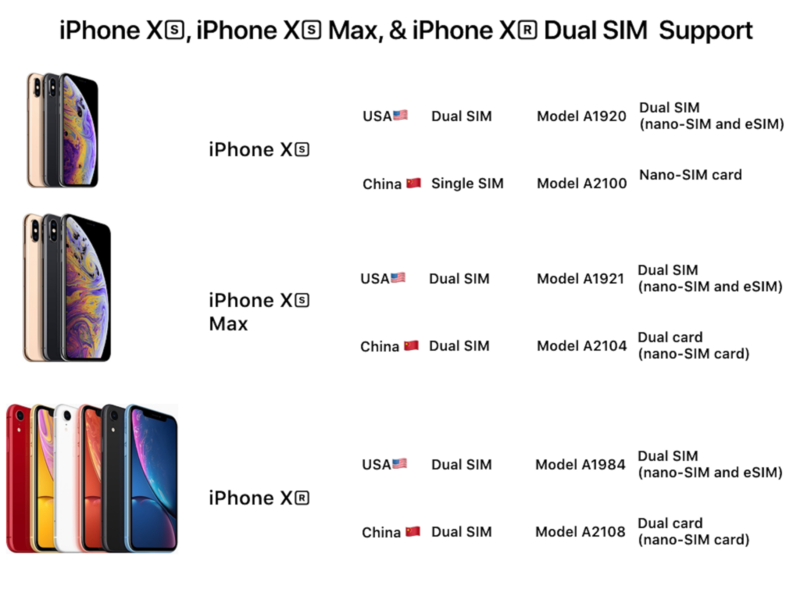 During Apple’s press conference, I noticed that they said the new iPhone models in China will support dual physical nano SIM cards as none of the Chinese wireless carrriers support eSIM. I looked on the Apple’s China site, apple.cn, the tech specs say that the iPhone Xs is a single SIM phone but the iPhone Xs Max and iPhone Xr both support dual SIMs. Both of these phones are larger than the iPhone Xs so I wonder if that is why, or maybe they expect the larger phones to sell better in China. The Chinese iPhone Xs is Model A2100, the Chinese iPhone Xs Max is model A2104, and the Chinese iPhone Xr is A2108. I wonder what are the other differences with these phones compared to the US versions. If would be cool to set up one of these with two prepaid wireless SIM cards. I just received my business I-phone XR (Verizon). My personal phone is an older I-phone 5c (Verizon). Dual SIM was one reason I chose the XR so I could combine both personal and business into a single phone. Now I understand that I can’t use ESIM because Verizon uses CDMA. I can’t put both NANO-SIM cards in the phone because the tray only supports a single card. Can I simple purchase a tray that supports the two cards stacked top & bottom or is the phone not configured internally to support? I just watched your 3 YouTube videos re: Freedom Pop. They are outstanding – I learned just about all there was to know about subsscribing. Thanks. I am looking for a way to suscribe to your blog. What am I missing? 1. Thanks. There certainly was a lot to understand about FreedomPop.